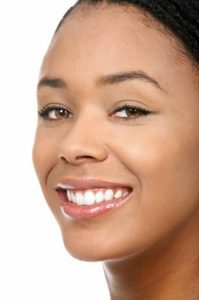 Are you looking for top teeth whitening in the San Francisco area? Not only are bright, white teeth attractive, they also reflect health and youthfulness. If your teeth have stained or discolored over the years, you may feel self-conscious or ashamed and find yourself covering your mouth when you speak or smile. Don’t let dull or dark looking teeth shake your confidence. San Francisco Dentist Dr. Samir Ayoub can help. Dr. Ayoub offers professional teeth whitening treatment in Union Square, which can safely bleach the teeth up to eight shades in an hour! Teeth whitening works best on natural tooth enamel. If you have fillings, crowns or veneers on your teeth, the whitening agent will not change their color. In fact, the restored teeth may look even more conspicuous after teeth whitening treatment. Speak with Dr. Ayoub about alternative ways to lighten teeth with fillings, crowns or veneers. Also, please keep in mind that teeth whitening is not recommended for women that are pregnant or nursing, or individuals with untreated tooth decay or gum problems. In-office teeth whitening treatment is fast and convenient, and typically requires only a single appointment. At the beginning of your appointment, Dr. Ayoub will examine and clean your teeth to prepare them for the whitening treatment. He will also check to make sure there are no serious problems with your teeth or gums that could be exacerbated by treatment. Dr. Ayoub will place a rubber shield or protective gel over the gums. He will then apply the bleaching gel to the teeth evenly. The benefit to having your teeth professionally whitened is that Dr. Ayoub can supervise treatment and use a stronger bleaching solution that what is available over-the-counter. He can also look for ways to work around any tooth sensitivity. After applying the whitening gel, Dr. Ayoub will let it sit on the teeth for about 10 minutes. The whitening gel contains a type of bleaching agent (either hydrogen peroxide or carbamide peroxide). The bleach will break up stains and discoloration into smaller pieces, which dilutes the concentration of the stains and makes the teeth look brighter. After your teeth whitening treatment, Dr. Ayoub may provide you with a take-home kit that contains additional bleaching gel for touch-ups. To maintain your results, it is recommended that you avoid foods and beverages that are known to stain the teeth. You can also schedule additional treatments in the future for special events (e.g., a wedding or reunion). To learn more about teeth whitening treatment and how it can improve the attractiveness of your teeth and smile, please contact San Francisco Dentist Dr. Samir Ayoub. Contact us today by calling (415) 781-2227 to make an appointment with our talented dental care team.